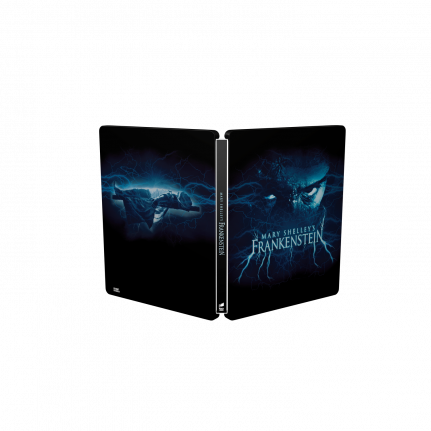 The classic horror movie from 1994 got a make-over, so get ready to re-watch Mary Shelley’s Frankenstein in a brand new SteelBook® edition which has been treated with a partial varnish! 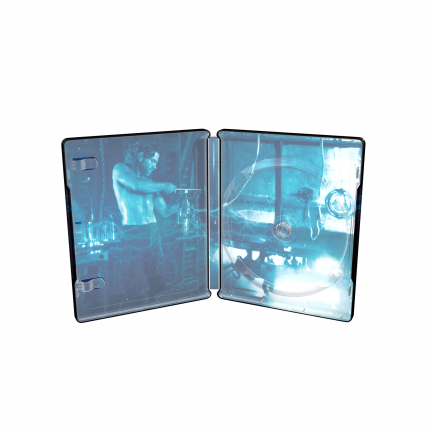 To create an interesting play in the artwork a white layer is used to allow or block the metallic shine from the SteelBook® case. On this edition a mix of solid and metallic is used to maximize the metallic effect within the design. Robert De Niro, Kenneth Branagh, Tom Hulce, Helena Bonham Carter, Aidan Quinn, Ian Holm and John Cleese star in Branagh’s acclaimed adaptation of Mary Shelley’s Frankenstein. True to the original, here is the story of a young doctor whose obsession with death leads him to create a life. But his “creature” crafted from the bodies of convicts and the brain of a brilliant scientist, is a hideous mockery of humanity. And when the creature realizes he will never be accepted by men, he seeks revenge on Dr. Frankenstein and his family. An inspired adaptation that’s emotionally complex and truly terrifying.